Welcome To Your Senses: Astala Vista Babey ! What was formerly called the Longhorn is now renamed to Vista. (atleast thats what Microsoft says). Click the picture and see for yourself the way Microsoft Works. I understand every big company works hard for having a High Quality Graphics (pictures and fonts). But Microsoft Tops them all. Im mesmerised by the graphical content and the way Microsft.com is organized. Microsoft certified me few years back. Now I certify Microsoft.com as a web portal with Naturally cool colours and graphics. 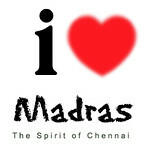 Its called the Keerthi Certified Site - KCS. Anyone want their site KCS Compliant ?? However, I like Longhorn better than Vista. Try Windows Avyukta ? Vista.. name seems to be a bit lame. 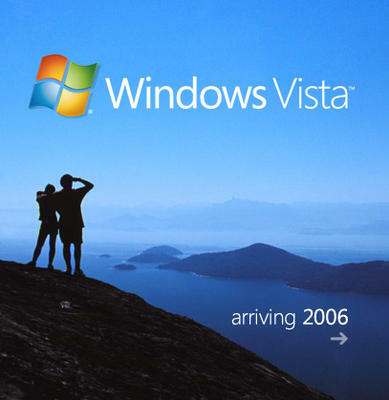 also, there is already a company called vista in the seattle area. I agree with you, LONGHORN was much better. MS certification?? : sorry, i am for Open source. Deepak. You are Linux guy ?? CMon, neither am I on Microsoft technologies. Im a legacy system guy. Kek ! was your porfile taken in the efunds cafeteria??? Hello Monu, You eFunds ? Me eFunds too..
Monu, are by any chance - Mohanalakshmi ? Keerthi: i do most work linux platform, but blogging, browsing, music ellam windows xp dhaan! btw, i have no clue on what you guys are talking about.. SDC?? efunds?? deepak, i dont really know why i say this, but XP rocks. simply love its robustness. BTW, sorry about the conversation.. im trying to figure out my office mate who happens to be a fellow-blogger. She has identified that we both blong to the same office, just by looking into my profile photo, which was taken in my office cafeteria. Hats off, monu.. what do you say Deepak. u guys are in the same office and yet you know only now!!.. is it a small world or what?